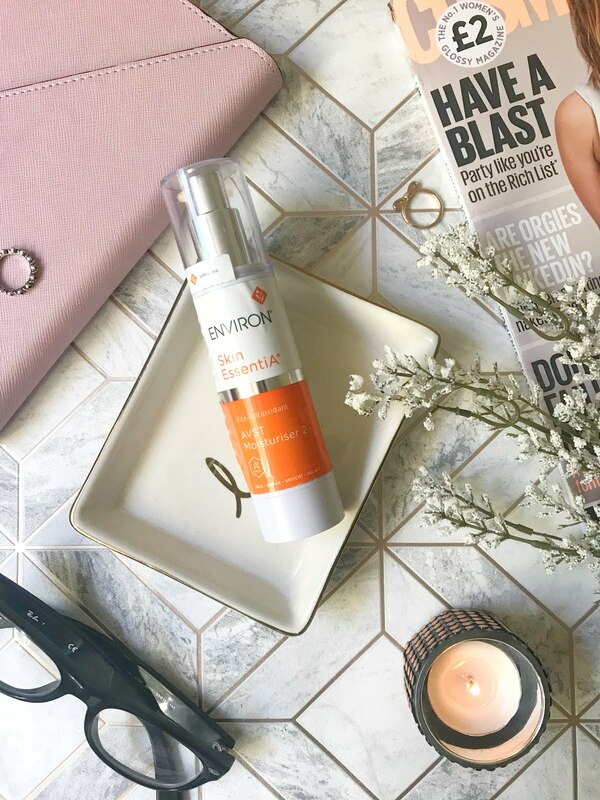 Valentines Day is now only just around the corner and if your out for the celebration with your loved one and don't know what look to go for then hopefully this post is for you. 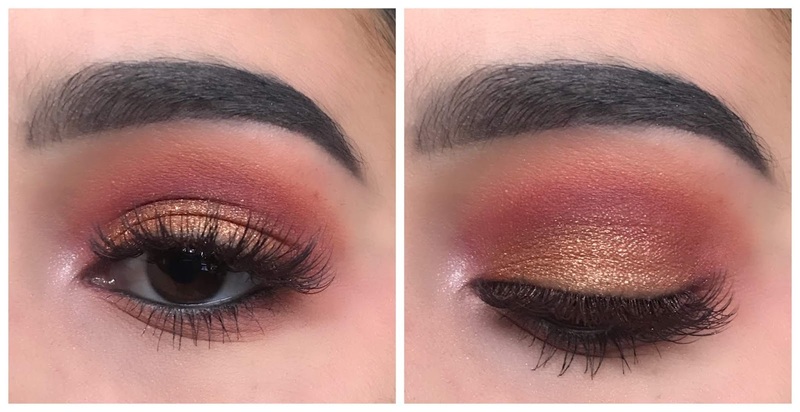 In this post, I had put together 2 different eye looks using a few different palettes but you can also customize the looks to your liking! 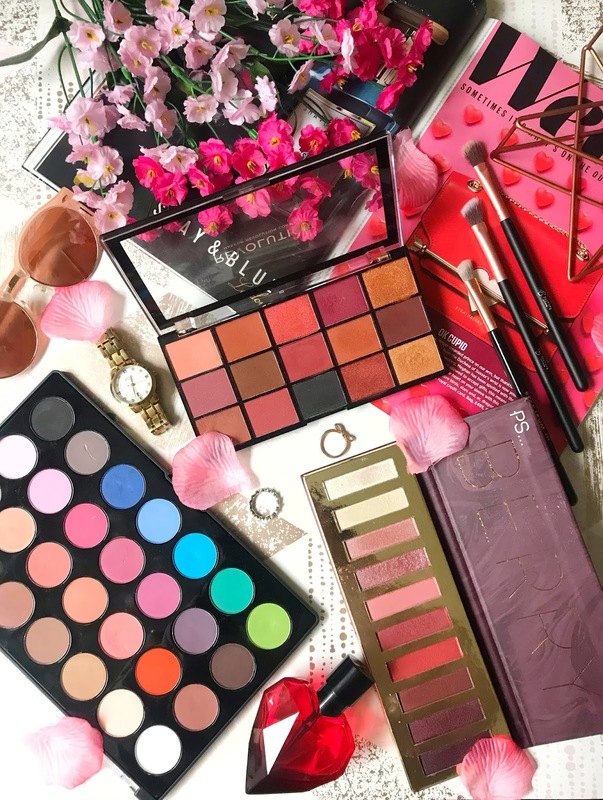 For the looks that I put together today, I had a common theme in mind that there would be more pinky and red shades incorporated in the palettes. 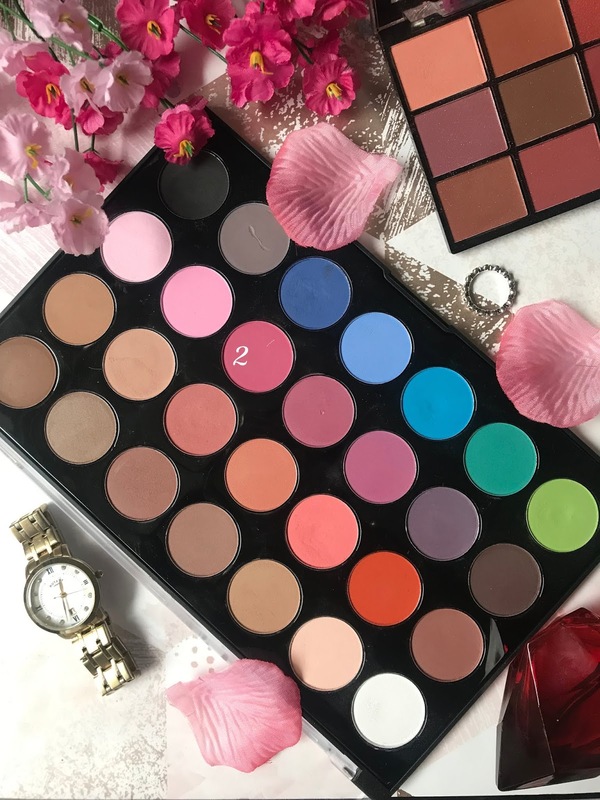 I chose to use inexpensive palettes so they can be recreated easily and also the shades that I picked you could find from other palettes if you don't have my exact palette. For the first look, I wanted to go really pink and girly with added glitter of course. 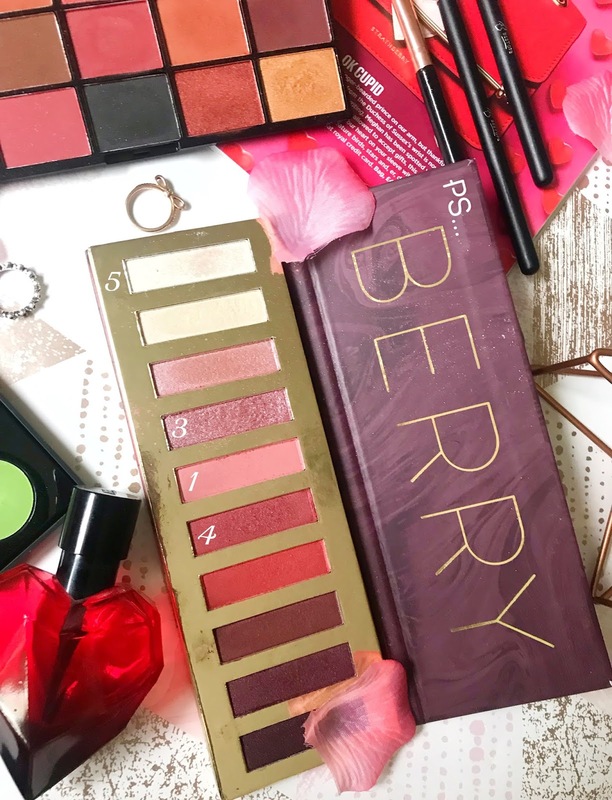 For this look, I used two different palettes the BH Cosmetics Modern Mattes but most of the colours came from the Ps... Berry Palette. In the images below I have numbered the colours that I used for this look. The first step of the look is to add the light pink shade from the Ps... palette into the crease, I actually applied it slightly higher than my crease because I have deep set eyes. I found this step really easy you just have to keep blending and blending until you get your desired look. A fluffy blending brush is perfect for this step. 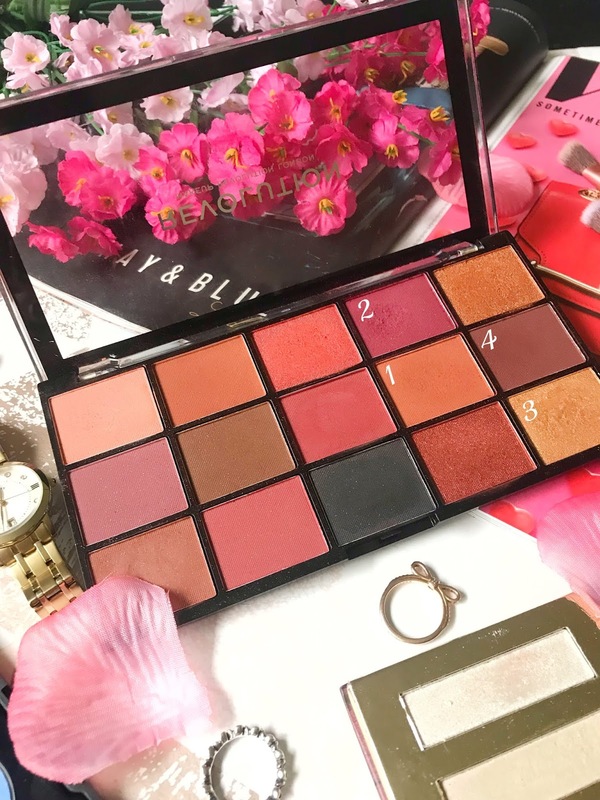 Once the crease is all blended out I then applied a slightly darker pink from the Modern Mattes palette, for this step I found the best way to blend the two colours together by using a small crease brush that fits nicely into the crease of your eye. For the colours to blend together you will want to apply this colour slightly lower than the previous shade. For the third step is where I applied the first layer of the glitter shadow which I got from the Ps... palette. I applied this colour firstly with a brush but then moved to use my finger as it applies the pigment so much better. For this step, I applied the glitter all over the lid. To darken up the crease I then added a slightly darker red shade from the PS... palette. This step probably could have been done before adding the glitter but I didn't realise until I applied the glitter that this look needed more depth. For this step, I used another small crease brush to get the colour just in the right place. Then to add more glitter to this look I reapplied the glitter with my finger all over the lid to add extra pigmentation. Then once that is done I then added a dark purple shade found in the Ps... palette, with this colour I applied it to the outer corner of my eye and blended it inwards slightly. For the last step, I then use the first colour that we started with and blended it out onto the lower lash line. For the final part of this look, I use the lightest glitter shade in the palette for the inner corner highlight. 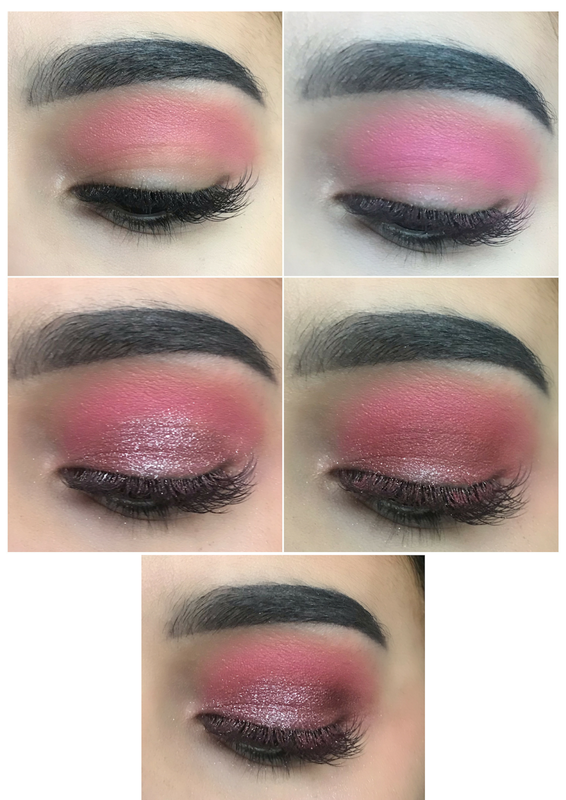 For my second look, I wanted to make it less valentines day but still pretty and more of an evening look. For this look, I was able to just use one palette which is the Revolution Reloaded Newtrals 3 making so much easier to recreate the look. You can see which colours I used in the below image. 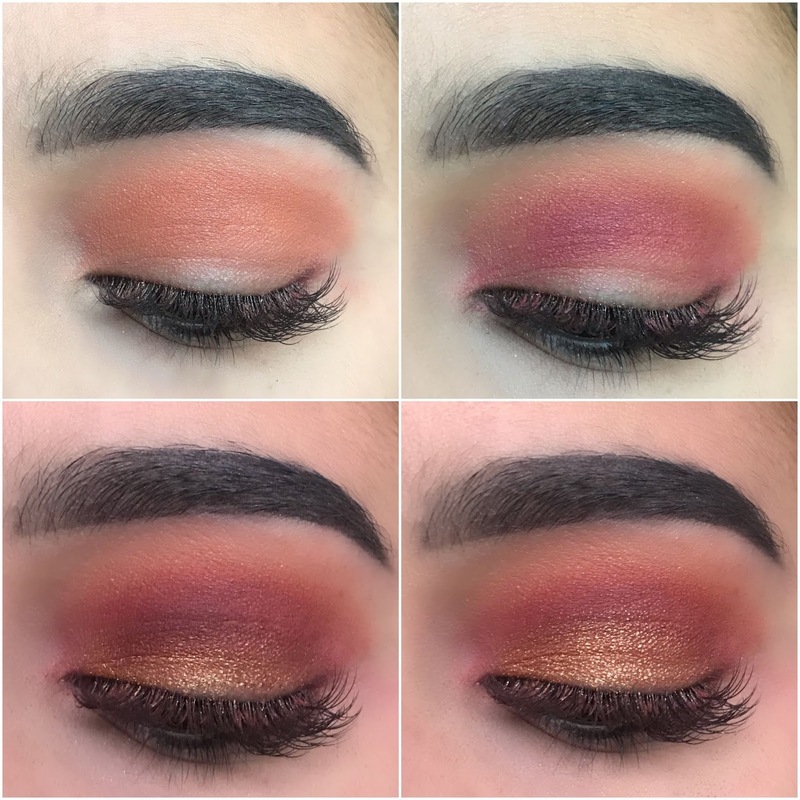 For the first part of the look is to create the crease colour, for this, I used a large crease brush and used an orangy shade and applied this colour slightly over my crease and onto my brow bone until you get the right look. To add depth to the look I then added a darker maroon shade into the crease, so you can still see the colour that was applied before. For this, I used a smaller fluffy brush that fits just the in the crease of the eye. This colour took a while to blend out but I just kept blending until I liked the look that I got. Once I was happy with the crease shade I then applied the first layer of gold glitter on to, I first used a brush again but it didn't give as much pigmentation as I would like so I then used my finger which was so much better, I then decided that I needed more depth to the crease so I added slightly more or the maroon mixed with a darker brown and applied a small amount to the crease. For the next step, I then added more glitter because who doesn't want more glitter! For the last step of this look, I then added the orangy shade onto my lower lash line and blended it out. I then added a light glittery shade from the Berry palette as the inner corner highlight. I hope I didn't make that sound too long-winded and I hope you like the looks I came out with. Will you be doing anything this Valentine's day? 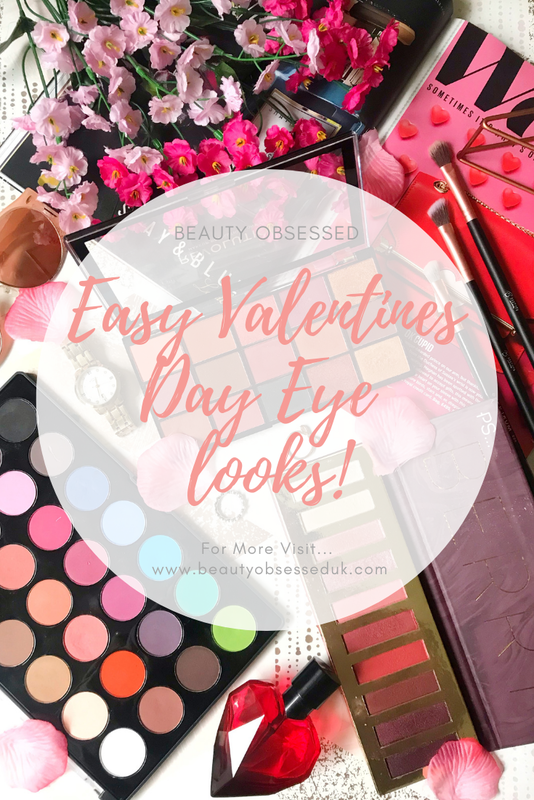 I always admire your make up looks, your choice of colours is so pretty and perfect for Valentines. I think my favourite is probably your first look with the silvery pink shades, that is absolutely gorgeous. Thank you for sharing your step-by-steps, it's really helpful! 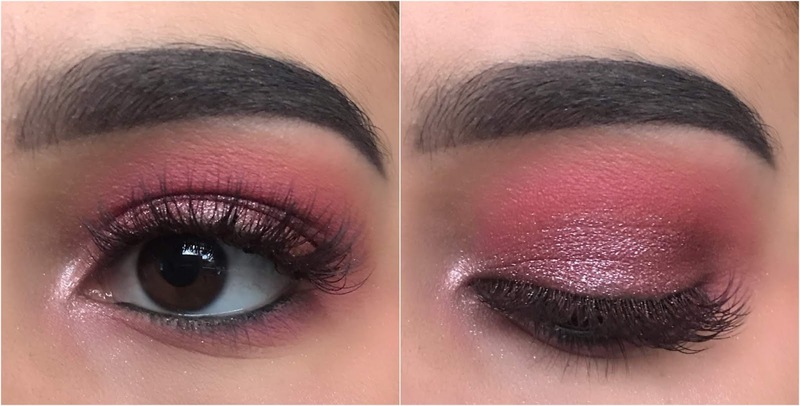 It is such a great Valentine's Day look! Loving the shades and colours! 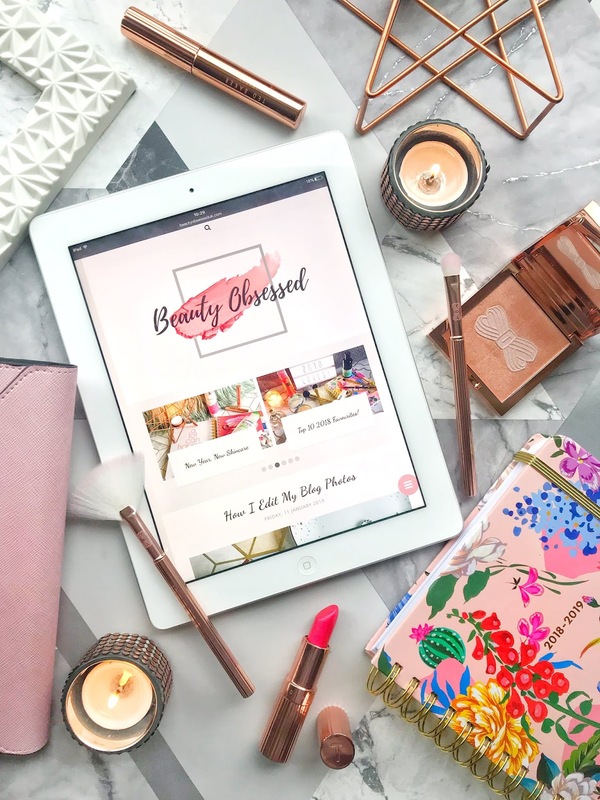 I am chilling at home tonight but i could defo try this for a night out with the girls!